The Montesa 4Ride features advanced technology and high performance. It is the latest off-road concept by Montesa. Enjoy freedom and agility wherever you go: from the comfort of your own home to your favourite mountain routes. Montesa 4Ride: pure adventure, from the very start. 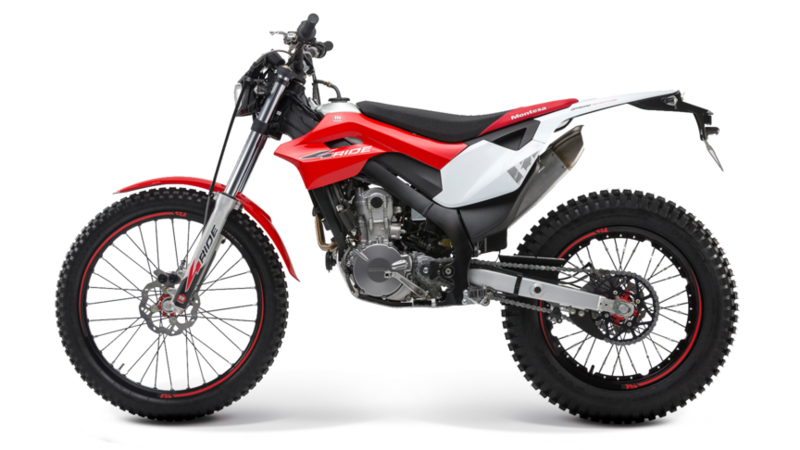 This sporty and stylish bike will reinvent off-road with its red front fender and side covers, a new red and black seat, axles and wheels, black rims, spokes, handlebars and aluminium fuel tank. It features a 4-stroke engine, 5-speed gearbox, is light, strong, manageable, powerful, comfortable to ride and easy to handle with a smooth throttle response. It comes with new Dunlop tyres offering lots of grip. The front axle is light and agile, with effective suspension to deal with uneven terrain.